Hearty meat dishes, traditional sausage specialties and emulsified boiled sausages, in particular, are among the most popular meals and snacks in Eastern Europe. The high level of consumption means that many consumers are extremely cost-conscious when buying, but they still want quality — which is challenging for manufacturers. Even when choosing products at lower price points, consumers expect the taste, color, succulence and mouth feel of good quality products, and are less and less willing to compromise on sensorial properties. At the same time, they are carefully checking on-pack ingredient lists to make sure there are no unpleasant surprises inside. For many reasons — from lower household incomes to simple price awareness based on a desire to get value for money, many consumers are looking for a balanced price: performance ratio. For manufacturers, keeping the price low and still offer convincing quality is difficult. Delivering good quality products at a very low price is quite a dilemma. German-based ingredient supplier RAPS has recently launched a range of four new meat-texturizing products tailored to the requirements of the Eastern European markets. The company has more than 90 years of heritage as a tried and trusted supplier of innovative food ingredients and offers holistic solutions to manufacturers and retailers in more than 80 countries. The newly launched texturizers are ideal for warm and cold products, such as Kracovia sausage, Doktorskaja and Vienna sausages, Parowki, Sosiski and Pariser, for instance. Taking traditional manufacturing processes into account, they meet high quality expectations when it comes to both taste and appearance. Eastern Europe’s love of sausage and meat products has led to impressive consumption figures: in Russia, for instance, 2,436,107 tons of sausages were produced in 2016. In Poland and the Czech Republic, meat is served four or more times a week in 40%of households and the most popular choices in Eastern Europe are boiled sausages. The main criteria for consumers considering buying sausages is the quality of the texture, juiciness and color of the product. Market analysis has shown that consumers want cooked sausages that look natural and convince at first sight as well as first bite. The structure and surface must be uniform, smooth and consistent, with a meat-adequate fibrosity and precisely tailored juiciness. Important too are good slice ability and crispness. Emulsified sausages such as hotdogs are expected to be springy and flexible, with an elastic “swing” while still being tight and firm. When developing texturizers, it’s vital to understand what the “right” texture of the end product should be. With sausages, properties such as hardness, consistency and mastic ability play an important role. A poor texture with uneven binding, air bubbles or an unappetizing color is usually caused by the use of low quality raw materials, unsuitable additives or poorly formulated recipes. As such, there are many products in Eastern Europe that have huge potential for improvement. When developing new products, manufacturers have to get the consumer on board at an early stage of the process to avoid rejection. With this in mind, the RAPS team approached test audiences in many Eastern European countries with their new texturizer concept and asked them for their opinion of boiled sausages made using this functional ingredient. The results of the market test were then incorporated into the texturizer’s development program to provide a wide range of solutions in terms of basic ingredients. Many application tests followed before an extensive pilot study was conducted among customers in 14 different countries. This is a product development approach that RAPS has used for a long time: the company has an in-depth understanding of the demands of the industry and of butchery, but also knows that collecting extensive consumer and market insight is crucial. After all, it’s the consumer who decides whether a product will succeed or fail. 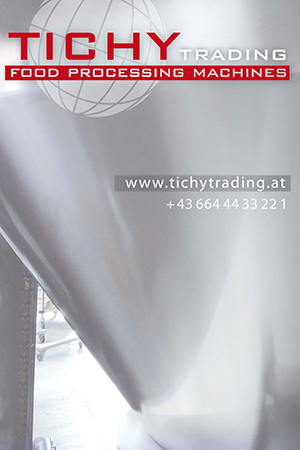 In the end, the RAPS experts have developed five different texturizers that optimize the consistency, firmness and viscosity of the batter during the chopping process. All of them provide technical stability during production for a wide variety of emulsified boiled sausages. “Strongtex” in particular is a game-changer. It precisely meets the requirements of Eastern European markets, helping manufacturers to develop products with an extraordinarily good texture, even in the LPP-segment for very price-sensitive consumers. Furthermore, this product concept is also ideally suited to markets in the Middle East, Africa and even Asia. For manufacturers, it’s good news that, with the right texturizers from RAPS, they can maintain top manufacturing quality across a wide spectrum of meat types and still provide an attractive price tag.